Running out of disk space on a computer is, unfortunately, something that every Mac user gets to experience sooner or later. The nuisance may happen even if you are using external drives or cloud-based solutions for additional data storage. Apart from you storing files on the hard disk, Macs tend to accumulate tons of various and often useless information without notice. Thus comes a time when you see the notorious warning that you are “running low on space”. With this said, it is essential to free up space on Mac hard drives and keep them nice and clean. Different Mac computers boast different storage capacity. While most Apple computers come with at least 256GB of storage, the MacBook Air base model, for example, still ships with only a 128GB drive. This is a fairly small pool of storage for most users today. Therefore, it is crucial to manage it wisely. Before you get down to cleaning up your drive, you should investigate what occupies most space on your computer. At first glance, the answer to this question may appear obvious to most of us – large files; however, if you take a deeper look, you will soon discover that Mac OS uses valuable space for often unneeded files created by the system to perform outdated tasks. Typically, the disk space on your Mac (in addition to your own files) is taken by cache, temporary, localization, and duplicate files that help apps run more smoothly. This data is often generated by the OS and stored on your hard drive, however it may take a quite a bit of extra effort to be found and removed. With MacOS being among the safest operating systems in the world to date, there are many backups and software updates stored on the device in case of something going askew. Backup and update files tend to pile up on the hard drive or SSD on Mac; thus, if you have a newer version of a file, the solution to erase a previous copy or backup is quite straightforward. Apart from the space taken on your drive by apps, video and music, there are some OS-generated files and folders called “other”, which can gulping precious gigabytes on your device. Therefore, not only does the system clutter disk space, but you as a user are also saving lots of content on your computer, which gradually fills up the hard drive space. That’s why it’s crucial to understand how to clear other on Mac. In order to keep your Mac disk from being overloaded, it is important to manage its space properly. 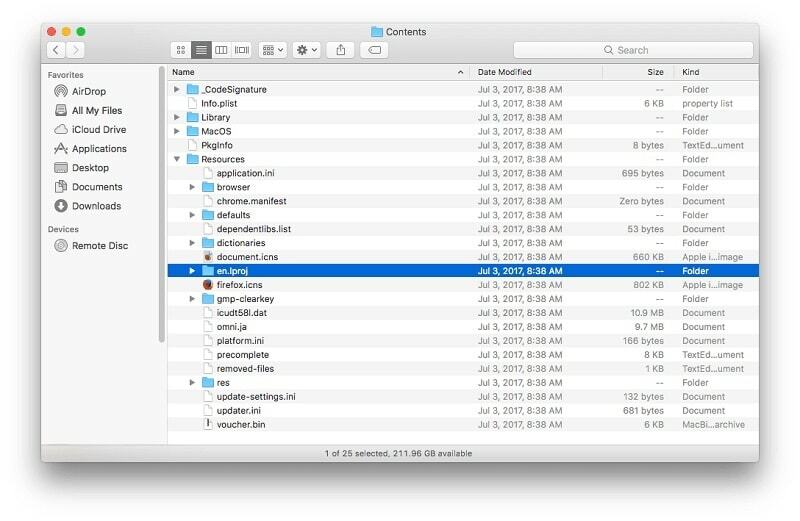 Additionally, the latest OS X Sierra provides an option of controlling and saving space on the computer by means of iCloud and storage optimization options. To take advantage of this built-in feature, you should go to the Apple menu, choose About This Mac and then click Storage. The overview of the available disk space will show up, as well as the list of file categories that are taking up the space. The options for optimizing hard drive storage are available from there. However, these options are limited to only moving files to iCloud, removing iTunes downloads and email attachments cache. It is important vital to go through apps and large files stored on your Mac every once in a while. Sometimes, it is all your MacBook needs. Just check the applications folder for software that is taking space and is no longer in use, delete it. However, many apps even after being removed still leave associated files behind. This is where third-party cleaner apps come in handy. Also, don’t forget to go through large files, photo, music, and video libraries on your Mac. If they are not used – move the data to an external drive or delete it and empty the trash bin. Delete old backups on Mac, localization packs, and software updates that are stored on drive also take up valuable space. Simply check installed apps , to free up space from unneeded language files that are included in localization package. Right click on the app, then select “Show Package Contents” from where you go to “Contents” and then “Resources” to look for .lproj files. These files are associated with languages, for instance, de.lproj would be for German. Feel free to move the ones you will never use to Trash. Also, don’t forget to remove old backups, for both iOS and iTunes library. Just open Finder window, then click “Go” in the menu bar at the top and select “Go to Folder.” From there enter either ~/Music/iTunes/Previous iTunes Libraries or ~/Library/Application Support/MobileSync/Backup/ to find the ones that are not relevant anymore. Additionally, the original apps like iPhoto, iMovie and Mail also have their own in-app space to store trash that is different from the one you see on Desktop. What you need to do is open the app, then go to trash, right-click and select “Empty Trash” to get rid of deleted files forever. 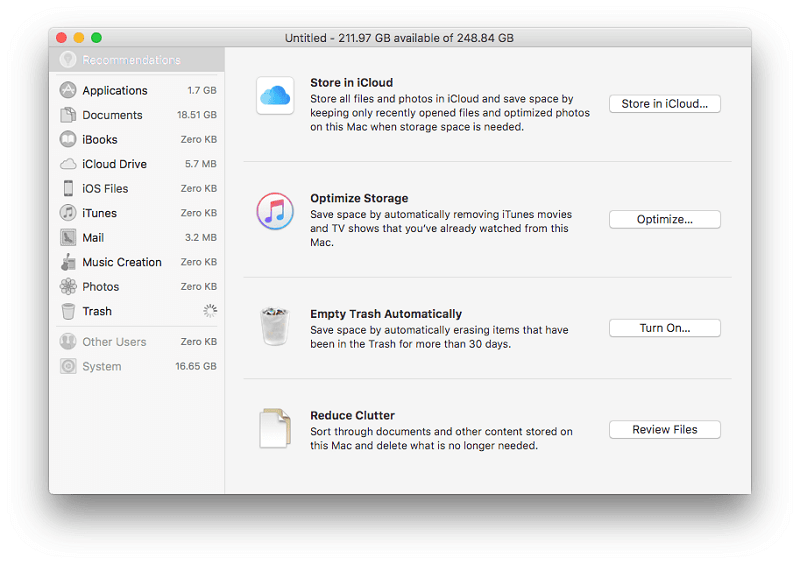 Your Mac disk space may also be littered with duplicate, temporary or cache files that are used by apps to work faster. While finding duplicate and temporary files is not a matter of a few clicks, cache files can be easily accessible. Software cache can be found by going to folder ~/Library/Caches from the Finder window menu. Safari, Chrome or other browsers cache removal may be performed by checking the browser preferences. This actions can help to prevent the issues when safari keeps freezing. However, deleting cache files is a temporary solution, because when they are removed and required by the app again, they will be generated again. As you can see, Mac users can easily free up disk space without the use of special software. It is important to follow the steps mentioned above and get rid of unwanted files manually at least from time to time. However, there are multiple third-party solutions that – apart from deleting apps – can remove lots of system junk, find duplicates, and decrease the number of temporary files. Such apps save your time, but often come with a price tag. If you feel like saving a few bucks, just follow the simple steps to discover what is taking most space on your hard drive.